… the eBento Event does, lots and lots of gift filled cakes waiting to satisfy your freebie loving sweet tooth. Once at eBento simply join their free group and then snarf up all the lovely cakes. You won’t be disappointed! It’s going to take a few teleports to recreate today’s look, so let’s dive straight into the descriptions. Let’s start with the Summer is Coming! tank top from Beautiful Dirty Rich. This wonderful gift is free for anyone that visits the store, fits mesh and classic avatars, and has a HUD with 20 color choices including a materials option. The embroidered denim jacket is a group gift at WellMade. It comes with a 3 color HUD, and sized for Belleza, Maitreya, Slink, and TMP mesh bodies. No Cabide paired the jeans and flats in their Biah gift. Both pants and shoes are controlled by the same HUD containing 6 color variations. JellyRoll’s May group gift supplied today’s hairstyle. This hair can be worn with or without the flower. Both the hair and flower are HUD controlled allowing for 10 different looks and 8 flower tones. This freebie train’s last stop is eBento. If your avatar’s head and body are Omega compatible then you’ll love the Yoga skin gift from Seven Deadly Skins. The eyeshadow pictured here is a gift from Arte. 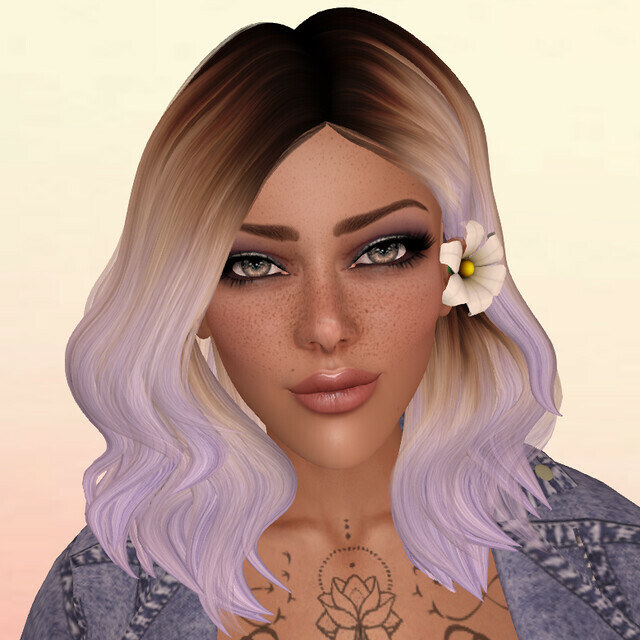 Arte’s gift eyeshadow pack includes appliers and system layer tattoos so both mesh head users and classic avatars can share in the fun. Be sure to stop by the GA.EG booth to pick up these fabulous mesh eyes! These very well may be our favorite item at eBento. 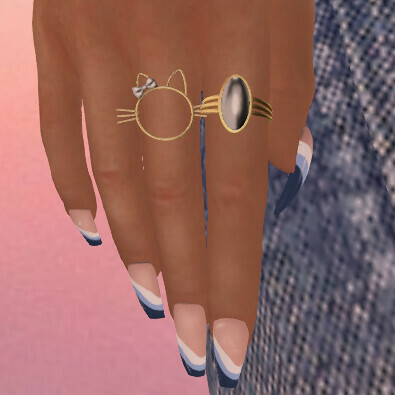 This delicate tattoo is a gift for mesh bodies from Madame Noir. Both of these photos feature different views of the Yoga skin. Look at that bellybutton! Supernatural gifted the rings. Both are Bento rigged. SlackGirl supplied these glamorous fingernails. They are specifically rigged to fit just about every mesh body available. 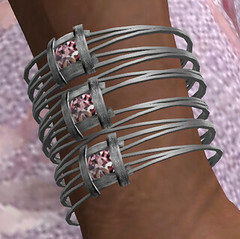 Which is especially nice for anyone wearing a scaled down freebie mesh body that lacks fingernails options. Here’s a closer look at the sandals from No Cabide.